"Many of our clients live in rural areas and experience social isolation and difficulties accessing services, and through attending Pillar groups they are able to form meaningful relationships with local people. 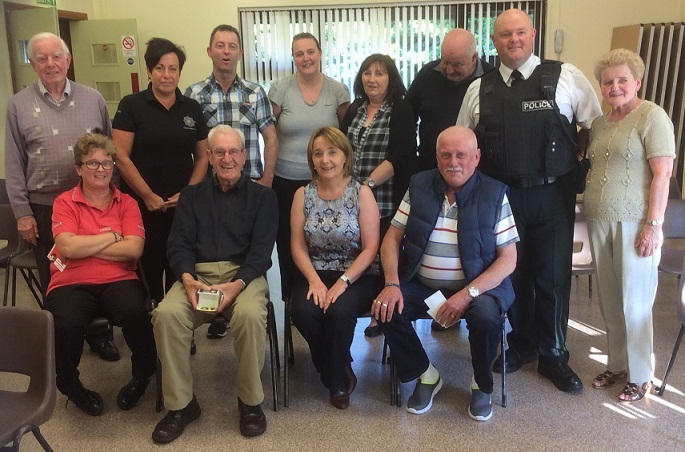 Often these friendships help them overcome practical barriers including poor transport links as well as emotional barriers such as the fear of being judged by others." For more information about what's on when, see our Monthly Programme. 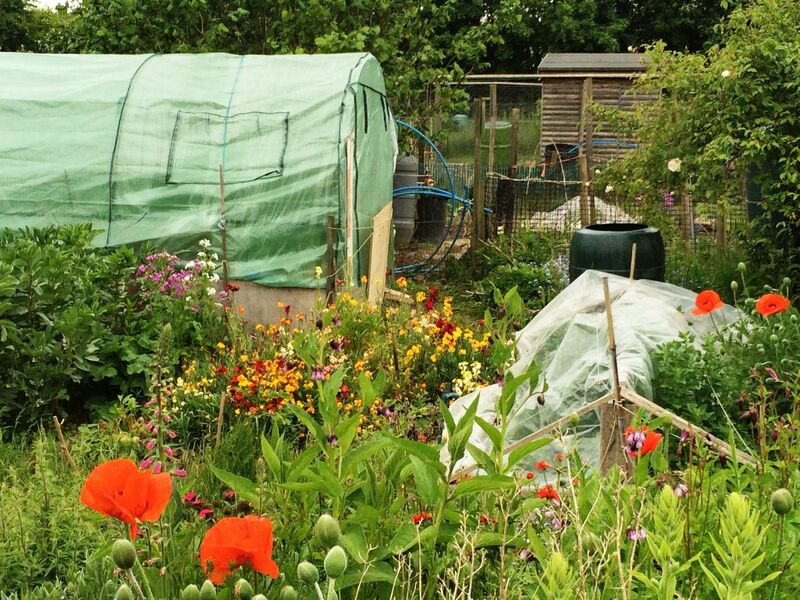 Studies have found that even just one session of allotment gardening can contribute significantly to improvements in mental as well as physical health with reductions in tension, depression, anger and confusion, greater self-esteem and enhanced enjoyment of life. 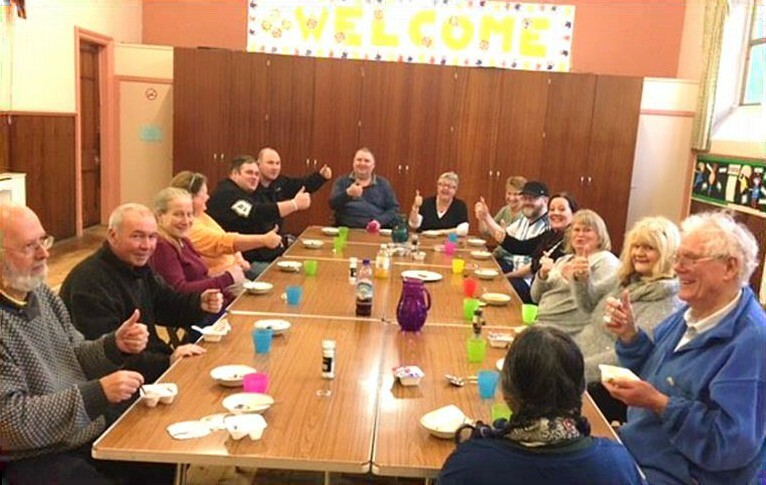 Tuesdays are very important to us, we meet and eat with each other, cook together using the produce we grow in our allotment, welcome new members, participate in structured gentle exercise, hear about local events and contribute to planning our service. It helps to speak to other people who have been through similar challenges about how we feel and what we experience, and to know that we are not alone in the way we feel. We experience a sense of belonging to a community, have come to understand how common mental health problems are in our area, and believe that everyone experiencing them deserves support. 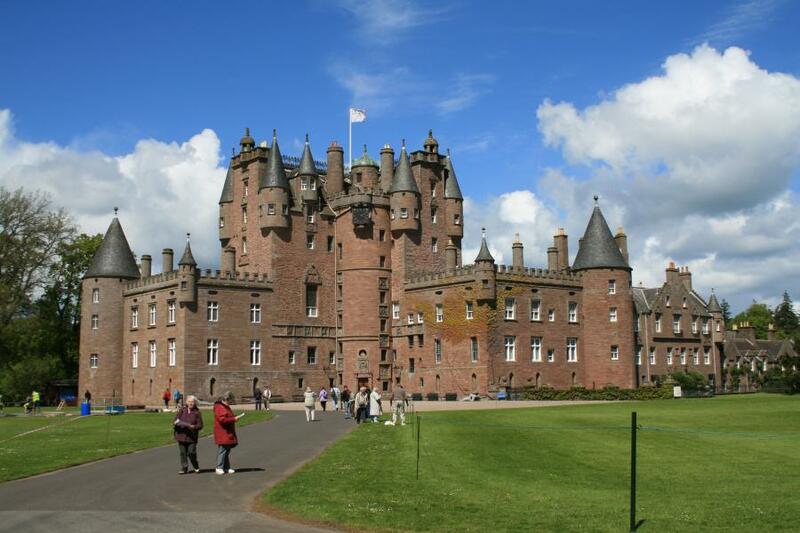 Visits and outings benefit Pillar members through the companionship and stimulation enjoyed in these group activities which involve occasional visits to theatres, cinemas etc but also exploring new and interesting places in Aberdeenshire and beyond. Because such outings are relatively infrequent they often have a special and memorable significance for the individuals who participate. 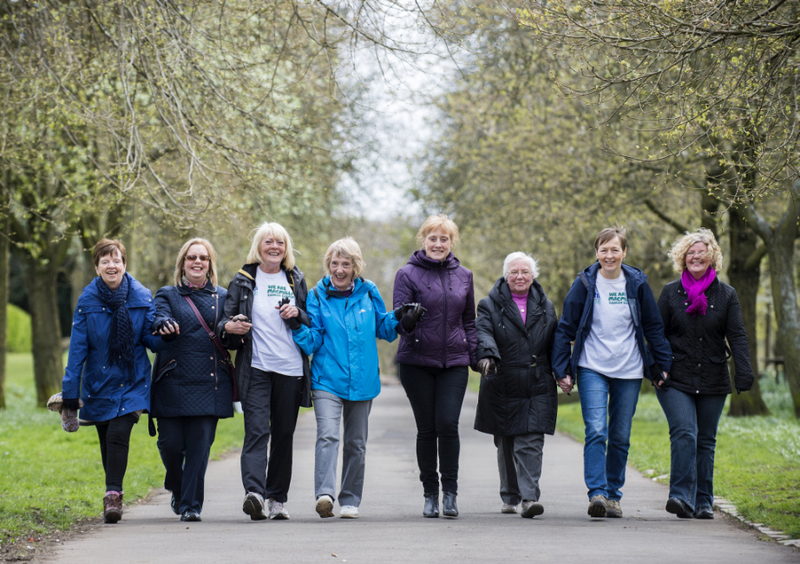 Monday - our morning health walk is such a great way to kick start the week, it's something to get up for, to get out and get some fresh air, speak to people, see what's going on around us and take exercise that's achievable. 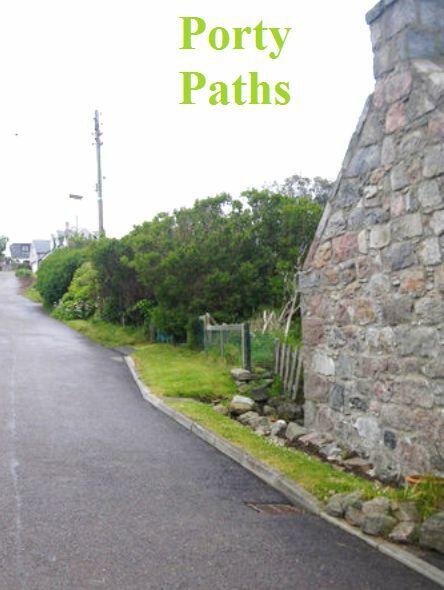 Porty Paths, for example, is a short, safe, social, fun, accessible, low level walk led by trained leaders around Portlethen, followed by a cuppa and a blether. "I can honestly say my mental health has improved since taking on a volunteering role with Pillar, I have a buzz about me that other people have commented on." Whatever the role and whatever their level of responsibility, volunteers are supported by staff. We find that volunteering challenges people both in ways they expected and in ways they did not, but Pillar staff are always on hand to ensure that any difficulties encountered are overcome. "I felt ashamed and embarrassed about how I felt"
"I couldn't talk about how I was feeling because of the stigma associated with mental health"
Mental health is still stigmatised in some parts of our community, and Pillar helps to tackle that stigma by raising awareness of the fact that everyone has mental health issues and that as many as 1 in 4 people living locally may experience a mental health problem at some stage in their lives. 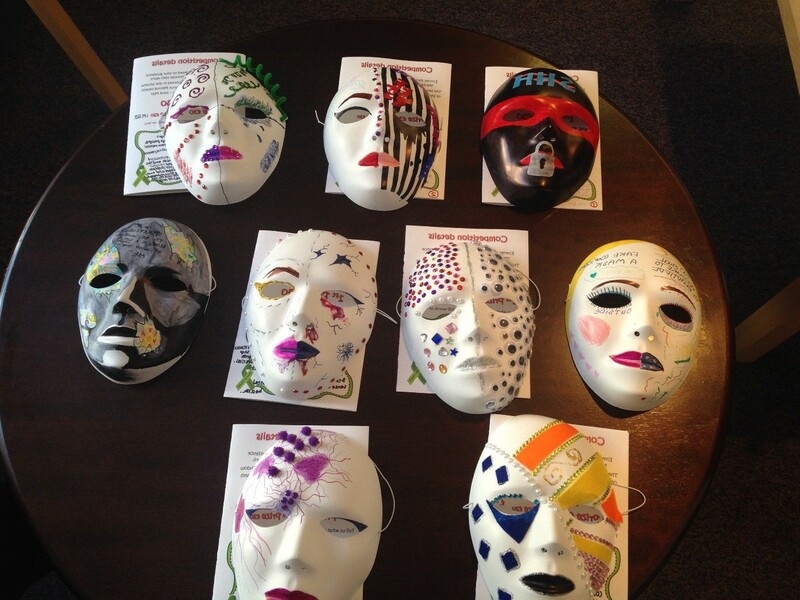 For example, during Mental Health Awareness Week this year we hosted three fantastic, well received events including – Behind the Mask – a project with pupils from Mackie Academy in Stonehaven. The theme for mental health awareness week was "relationships" so this became the theme for designing a mask and writing a statement to express the meaning of the design. 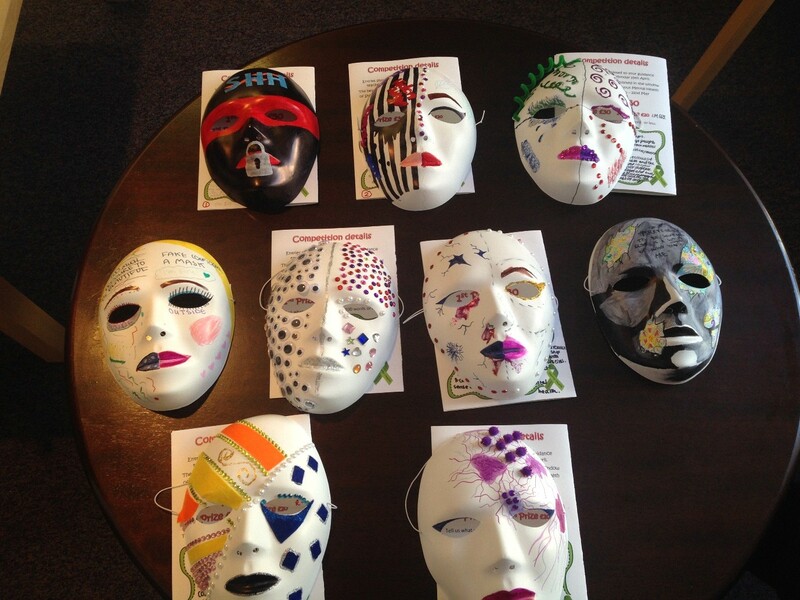 The masks were displayed in the window of the Stonehaven Library, who reported that people were impressed, saddened and shocked by the accompanying statements written by our young people. As a result, Pillar has been asked by Mackie Academy to run the project again next year but on a larger scale as it proved an effective way to start young people talking and thinking about mental health. "The subject of mental fitness and wellbeing is an area we as a school are keen to develop for our wholeschool community, it is an area of significant concern and is one of our priorities as a school." The Mental Health Foundation has shown that 1 in 10 children and young people will experience mental health difficulties in any one year. Although mental health issues are relatively common, it is often the case that children and young people don't get the help they need as quickly as they should. As a result, mental health difficulties such as anxiety, low mood and depression can stop young people achieving what they want in life and making a full contribution to society. Our Mental Fitness workshops aim to get young people thinking about their own mental health and wellbeing while educating them in strategies to help them remain mentally fit and healthy. Emphasis is given to the importance of mental wellbeing in helping us to manage our lives successfully. 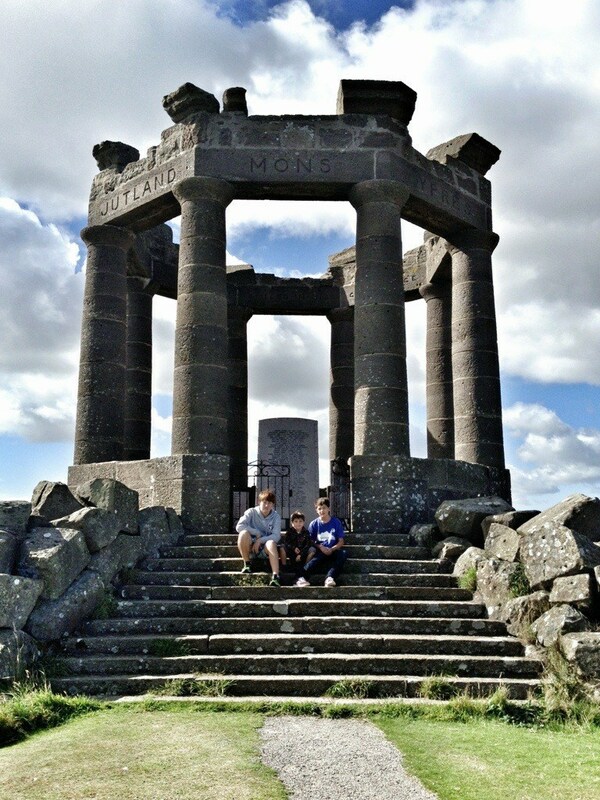 Whether they are experiencing mental health problems or not, young people are encouraged to think about what it is that keeps them mentally fit and healthy, and how to recognise the signs and symptoms of stress, anxiety, low mood and depression, whilst introducing them to skills and resources they can use to help themselves when symptoms are considered to be within their coping abilities. They are given information on "where to find help and when" should they experience symptoms which they feel they cannot cope with on their own. CBT is based on the concept of these five areas being interconnected and affecting each other. For example, our thoughts about a certain situation can often affect how we feel both physically and emotionally, as well as how we act in response. Students are given exercises to help them identify the difference between helpful and unhelpful thoughts and behaviours. They are then shown how they can retain control over their wellbeing by making simple, conscious changes in one or more of these areas in their life.